In advance of the spring 2019 release of his new album, Graal (Prologue), Christian Löffler has released a video for the album's first single "Like Water (feat. Mohna)". In this track Christian again demonstrates his adept touch in combining grand, wide scale songs with a vein of melancholy. We think it is a terrific way to start our day. Boyracer has been in existence for many, many years (yeah, Stew, you are getting old) with various line-ups, but new recordings have been rare recently. However, main Boyracer Stewart, with longtime collaborator and better half Jen, as well as Matty, have a new two song single. The vinyl is sold out already, but you can grab the digital at the Bandcamp. Also note that the band will drop an LP later this year, but these tracks are exclusive to the single. Stream below for a nice jolt while placing your order. If you are looking for some indie rock supercharged with a current of soul, then direct your ears to All Dat Love. 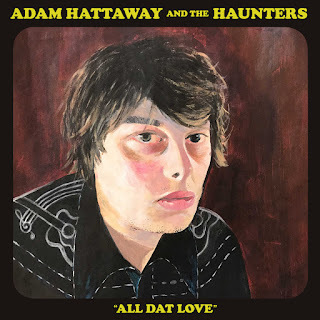 The album is the creation of Adam Hattaway and the Haunters, from Christchurch, New Zealand. There are plenty of pop melodies and soulful vocal stylings, but there is a bumper crop of fuzzing, buzzing, and squalling guitars and a robust rhythm section. In addition to Adam Hattaway (vocals/guitar) the band is Emma Hattaway (bass), Elmore Jones (drums), and Ben Woods (keys). 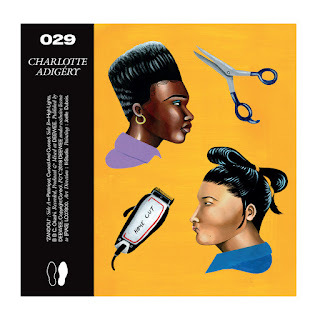 All Dat Love is out via the Melted Ice Cream label in digital and CD formats. London-based four-piece HÆLOS create music that combines the euphoria of dance with the dark side of electro pop. 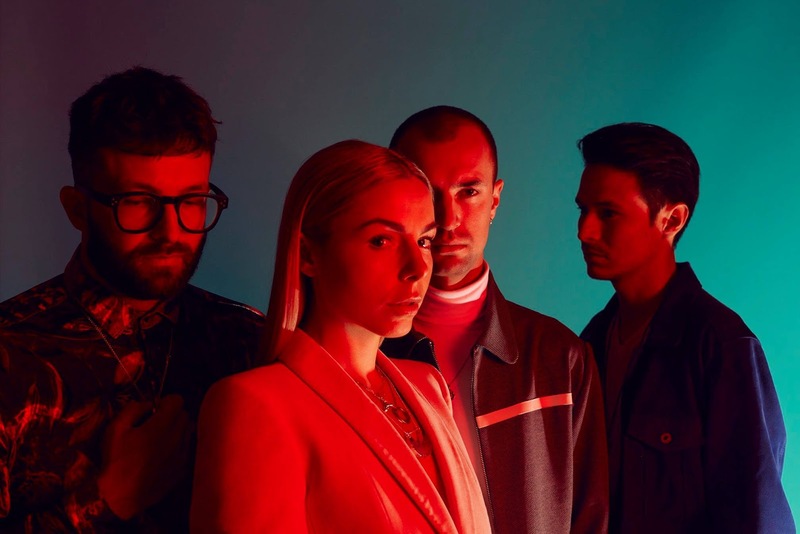 Their sophomore album Any Random Kindness is due in the late spring, but they have already been thrilling fans with releases of singles taken from the record. Here are two videos of singles that demonstrate the band's talent. HÆLOS are Lotti Benardout, Arthur Delaney, Dom Goldsmith, and Daniel Vildosola. The band is touring in Europe and North America from the third week of February to the first week of June. Dates and venues are listed at the bottom of this post. Sean Tollefson of Seattle band Tullycraft has long been a musical hero around WYMA World Headquarters. Incubated in the indie playground that was Puget Sound in the '90s, he has been resolutely, even defiantly, twee for over two decades. His sweet spot is uptempo, melodic songs with large doses of wry humor delivered with punk energy. His lyrics paint concise scenes that often prompt us to think "hey, I've been in that situation", but we never tell the story as well as Sean. The humor often spreads to the titles of songs (for example, past albums included "Pop Songs Your New Boyfriend's Too Stupid To Know About" and "Rumble With The Gang Debs") and albums (City of Subarus made fun of Seattle's reputation for devotion to that automobile). Tullycraft's new album, The Railway Prince Hotel, is more of the same, which makes us very happy. Featuring instant classics such as "Has Your Boyfriend Lost His Flavor On The Bedpost Overnight? ", "We Couldn't Dance to Billy Joel", and "We Lost Our Friends to Heavy Metal", and lyrical refrains such as "I never thought I could hate you / I guess I was wrong" (from "The Cat's Miaow In A Spacesuit"), it is clear that the well of inspiration continues to run deep as Sean and his current bandmates, Jenny Mears, Chris Munford, and Corianton Hale age and acquire responsibilities. The band manages to be poignant, knowing, smug, funny and self-deprecatory, often in the same song, while being unfailingly entertaining. This album is a musical treasure. 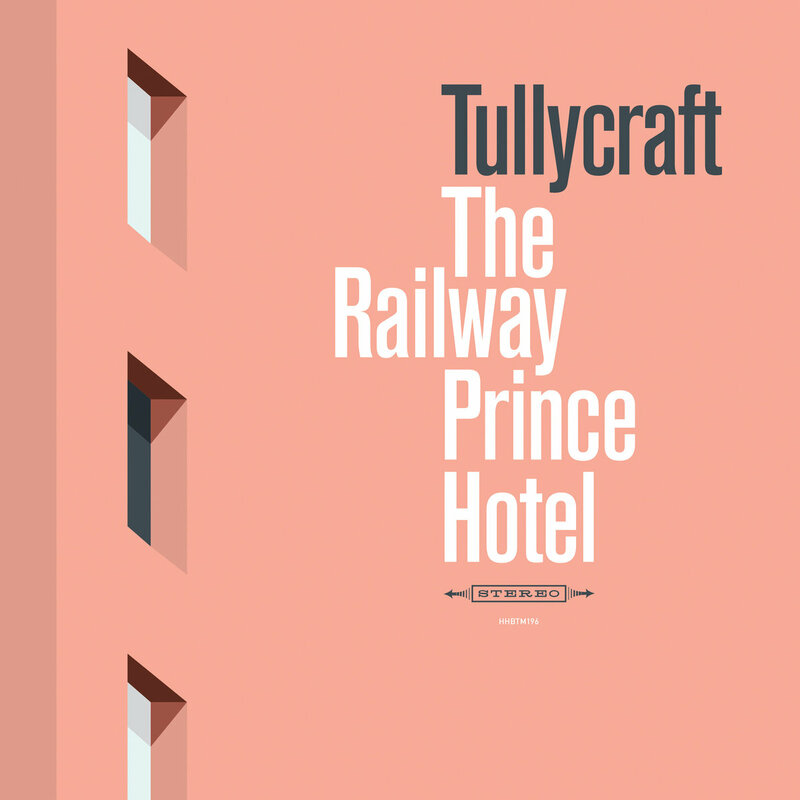 The Railway Prince Hotel is out now in digital, CD and vinyl formats via HHBTM Records. Monday's require special handling. Our lives are busy and the start of the week demands a jump start. So the perfect beginning for us is Zandoli, the new EP from artist Charlotte Adigéry. With mixed Belgian and Afro-Caribbean heritage, Adigéry creates a bracing brand of dance pop, combining light-hearted by vivid storytelling with intriguing rhythms and captivating melodies. And as much as we recommend this album to start your week, we suspect it will find a place on your weekend playlist as well. Zandoli is out now via DEEWEE, the label run by the Soulwax brothers.